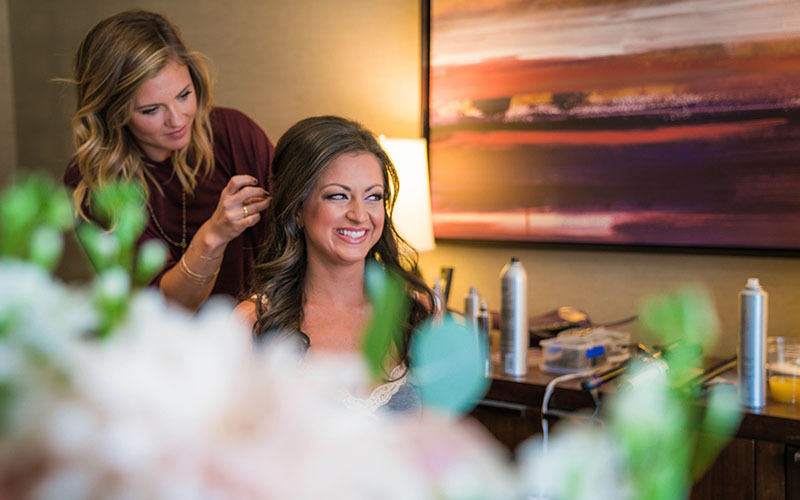 Brittany Benton Massey is making waves in the world of hair and makeup artistry. Her work has been featured in Heidi Elnora Collections and Alabama Weddings Magazine in addition to delighting brides all over the Southeast. 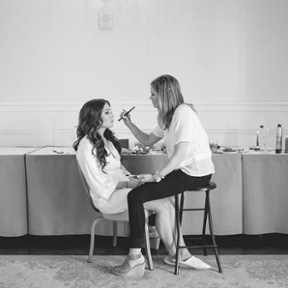 When did you know you wanted to pursue being a hair and makeup artist? I knew I wanted to pursue being a hair and makeup artist when a college ministry put me in a campus pageant! I met someone who did freelance hair and makeup, and it literally made my insides burst with excitement and disbelief that making a living doing something I truly loved and was passionate about was a reality. What inspires you when you are doing someone’s makeup and hair? I feel I’m most inspired by my client’s personality when I’m doing their hair and makeup in determining the direction I want to go with their look. It’s always fun if I can tell someone would truly love this somewhat glammed up version of their everyday makeup, but haven’t had the guts to try it out. So when they see the results and are so giddy and in love, it makes me feel all the warm happy feelings for them. It makes me feel like I’ve captured exactly what they wanted to achieve. Why do you think it is important to build a positive relationship with your client? For me, I look at the client as more than just a “one-time client.” Even though my work is mostly on their wedding day, I’ve had brides turn into mamas, and then I get the privilege of working with them again for maternity/newborn pictures. I’ve even had some girls end up being close friends because I saw them less as a client, and more as a genuine person who I could share sweet moments and conversations with. It makes my job even more memorable and pleasurable when that connection happens. You work with really cool people in and around downtown Birmingham — who are some of your favorite people to work with? I genuinely love working with all wedding vendors! Everyone is so passionate and in love with their work and making it the best they can for the clients, that it shows, and their passion is contagious and so much fun to be around. I’m usually with the planners and photographers/videographers most, so I always love getting to be around them, even over just emailing back and forth. What do you think is unique about the community of creatives in Birmingham? I think what makes the creative people in Birmingham so unique is their ability to remain humble and level-headed. Their work is unreal and so talented and can, or should, go so far beyond little ol’ Alabama, but they still put their whole heart and soul into every little thing they do as if it was the biggest and best job on the planet. A hard work ethic and true genuine personalities are hard to come by, but I think the creatives in Birmingham have some of the best ones out there!